Elizabeth McQuerry leads Glenbrook’s Global Payments Practice. She has a decade and half of experience in payments systems supporting client engagements on international remittances, P2P, global payouts, government collections and disbursements, as well as developing payment scheme rules. At Glenbrook, Elizabeth focuses primarily on developing and enhancing payments services outside the United States. She often supports efforts to grow emerging payment ecosystems and to connect mobile and traditional payment solutions. Fluent in Spanish and Portuguese, she is a frequent contributor to projects in Africa and Latin America. Starting in mid 2015, Elizabeth became the CEO of the International Payments Framework Association (IPFA). In this role, she leads the IPFA in simplifying the exchange of cross-border payments. The IPFA Framework includes a Rulebook covering both Instant Payments (real time) as well as Non Urgent (bulk) payments, and the use of standardized data formats such as ISO 20022. 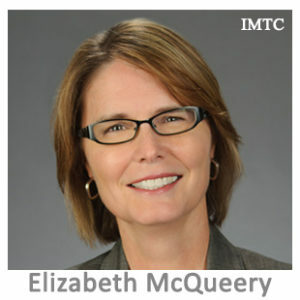 Previously Elizabeth worked at Microfinance International Corporation (MFIC). For over a decade, she served as the head of FedGlobal ACH Payments for the Federal Reserve Retail Payments Office where she was responsible for developing the program’s strategic direction, new product development, connecting to global partners and market outreach program.